J-CODE joins the efforts of the FBI with the Drug Enforcement Administration (DEA), United States Postal Inspection Service (USPIS), U.S. Immigration and Customs Enforcement Homeland Security Investigations (HSI), U.S. Customs and Border Protection (CBP), Department of Justice (DOJ), and the Department of Defense (DOD). As many of these markets cross borders, Europol is also an invaluable international partner in J-CODE’s efforts to make a global impact on Darknet drug trafficking. The evidence gathered from that overdose death in Knoxville, for example, was shared with local law enforcement and then with USPIS, the FBI, and other partners. The eight-month investigation led to the arrest of five suspects in the Los Angeles area in March 2019 who are believed to be behind at least two online drug sites that shipped out an estimated 1,500 parcels each month. 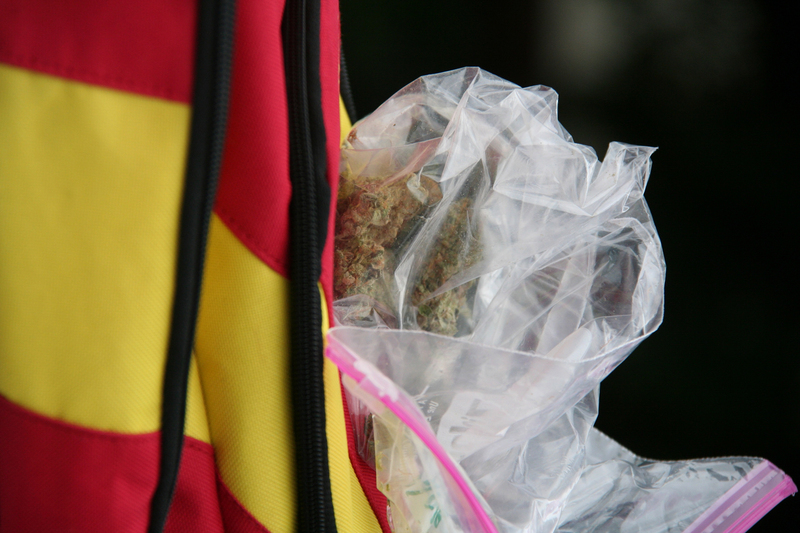 Search warrants carried out on a residence rented by the suspects and two of their vehicles uncovered drugs, a loaded gun, mailing supplies, computers, cell phones, and transaction receipts. FBI Special Agent Nathan Cocklin said members of his Hi-Tech Organized Crime squad from the Los Angeles Field Office, along with USPIS inspectors, interviewed the suspects as they were brought into custody. He said the suspects claimed they were just running a business, making money, and not considering the impact of their online sales. “It’s a transaction only,” Cocklin said of the Darknet marketplaces. “They don’t even know each other’s real names.” He said the suspects never considered that a package dropped in a mailbox in Southern California could mean the loss of a life in eastern Tennessee. 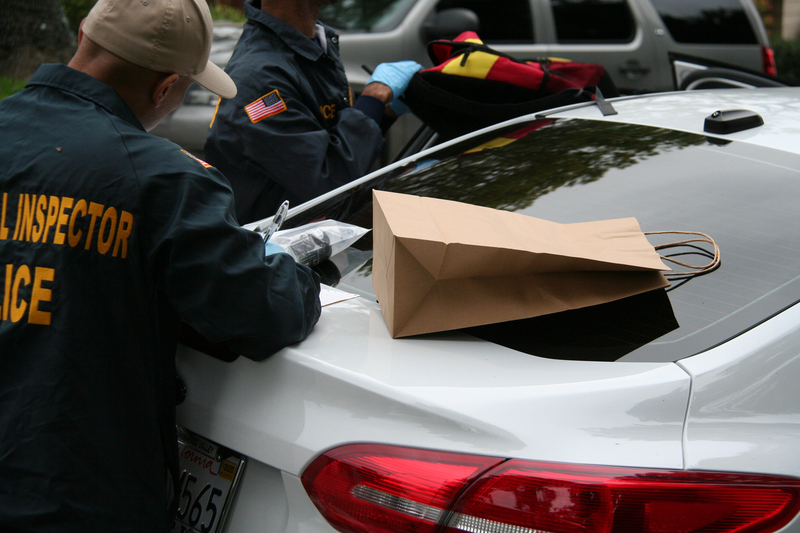 Members of the J-CODE team conduct a search of a residence and vehicle in California in March 2019, where drugs were among the items seized. The Darknet is a part of the Internet accessed through a specialized browser called Tor. Tor allows users to better hide who they are, where they are, and what they are doing online. Darknet marketplaces offer illicit goods that range from hacked bank accounts and stolen credit card information to guns and drugs. But on the other side of the seeming ease and anonymity of buying and selling on the Darknet is the hard work being done by law enforcement, in concert, to combat the illegal activity occurring online—from targeting the marketplaces and the sellers to reaching out to those buying illegal wares online. The FBI and its law enforcement partners in the United States and abroad have had tremendous success in recent years taking down some of the largest and most profitable Darknet marketplaces. In 2017, law enforcement seized the AlphaBay marketplace, believed to be the largest Darknet market at the time. That seizure was followed by a takedown of Hansa market, another major player. The next-level target is the Darknet drug trafficking organizations. The goal of Operation Disarray and Operation SaboTor, along with the ongoing work of J-CODE partners, is to identify and arrest those behind the online sales. The final prong of the J-CODE effort is educating the public on the dangers of opioids by contacting individuals who are known to have purchased drugs online. Sometimes the message arrives too late. In locating and contacting buyers, the J-CODE team often comes across death notices and obituaries. In some cases, agents learn from buyers that they had survived an overdose; in other cases, agents learn from family members that a buyer did not. Oksala stressed that many of the drugs being sold online carry the added danger of unknown, powerful chemicals. “People are making thousands of pills at a time, doing the formulation without any scientific training,” he said.